Since each child comes to BIG with a different learning history and developmental ability, the assessment of skills is an integral part of the process of learning and teaching. It is used to monitor progress and inform future planning. Assessment will provide learners and teachers with accurate information on each individual’s progress, by recognizing strengths and talents of learners as well as identifying and supporting weaknesses. Learners are assessed upon entry to see what behaviors are present and which require instruction, providing a baseline of learners’ repertoires. In order to determine the objectives that will be included in a child's program, BIG evaluates every child's needs using a variety of assessment tools including, but not limited to, the Verbal Behavior-Milestones and Placement Program (VB-MAPP), Curriculum and Inventory of Repertoires for Children from Pre-school thru Kindergarten (C-PIRK), as well as the Verbal Behavior Developmental Assessment (VBDA). These assessments provide a comprehensive assessment of the learner's repertoires and are updated throughout the year as goals are met and repertoires are acquired. 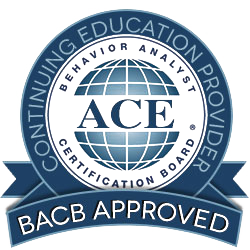 Programs are developed and overseen by qualified, well-trained licensed behavior analysts. The senior management team, supervisors, lead therapists, lead therapist assistants and registered line therapists work together to ensure that the optimal learning occurs for each and every child. The role and influence of all staff members are crucial factors in the promotion of high quality learning and teaching and BIG supports continuing professional development for all staff. All staff is required to undergo individually tailored training objectives to increase his/her behavioral expertise. See www.cabasschools.org for further information on these ranks. Meeting the needs of each individual learner and helping each to realize her/his potential is central to effective learning and teaching. Since every child learns differently, the teaching environments, methods, and strategies used in our programs vary. Our programs utilize a combination of the different applications of ABA in order to maximize a child’s ability and desire to learn. Some of these include: Verbal Behavior (VB), Natural Environment Training (NET), Discrete Trial Training (DTT), Direct Instruction (DI), and Precision Teaching (PT). We utilize several different instructional methods, ranging from adult-directed to learner-initiated, in order to promote learning in a variety of ways. Our intense ABA programs allow learners to be provided many opportunities, specifically planned and naturally occurring, to acquire and practice skills every day, in structured and unstructured situations. There is an emphasis on making learning fun while focusing on providing abundant, positive reinforcement for useful skills, socially appropriate behaviors, and positive social interactions. Therapists use a variety of teaching strategies to motivate, create interest and develop a range of skills amongst learners. Effective relationships between our therapists and learners are built on praise and positive reinforcement. Therapists are enthusiastic, motivating learners through tasks, lesson delivery and the celebration of achievement. Objectives are broken down so that are manageable for the learner, and taught from simple (such as imitating single sounds) to complex (e.g., carrying on conversations). Intensive intervention is provided each week depending on the needs of the child. Children are taught on a one-to-one basis or in small groups with access to individual support. Following each assessment, an individualized plan will be developed and updated for that individual learner prioritizing objectives so as to provide a broad and balanced program. A sample of some of the skill areas addressed in our programs include: Communication Skills, Social Skills, Self-help Skills, Independent/Play Skills, Early Learning Skills, Group Learning Skills, Academic Skills, Classroom Readiness Skills, and reduction in potential barriers to learning (e.g., tantrums, aggression, self-stimulatory behavior). Parental views are sought and taken into account when a student's program is being developed. In addition to assessments, we use ongoing data collection through the CABAS® system to track progress and to analyze student learning. Changes in children’s programs are continuously made as needed and are always data driven. 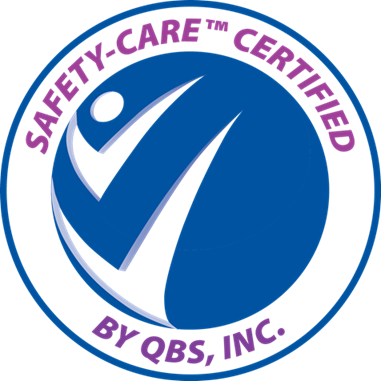 Monitoring the delivery of the program and learners’ progress is an underlying principle of the CABAS® system. There is a continuous assessment process in place and all data are regularly monitored by senior staff. Each learner's data are graphed in order to monitor learner progress. We use the decision protocol, as described by Keohane and Greer (2005) and Greer (2002), to analyze the graphs and make empirically driven instructional decisions, and to determine the effectiveness of our teaching. Changes/adjustments are made immediately as part of the ongoing analysis of data. Summary graphs are produced in order to show where learning has occurred. These graphs indicate whether the current objectives are set at an appropriate level in terms of level of difficulty and whether they are suitably challenging for the learner. The data also indicate where learning is not occurring and where it may be appropriate to consider additional strategies/tactics. BIG has an open-door policy and encourages communication from parents, caregivers and other professionals in regards to a child's learning. Parents are invited to meet with their child’s behavior analyst on a quarterly basis. It is at this time that quarterly progress reports are provided to the family as a summary of the learner's progress over the last quarter and the objectives that will be addressed in the upcoming quarter. Parents are also invited to come in for additional 1:1 training to learn how they can help their child achieve goals in the home and/or community environments. BIG hosts routine parent workshops that are conducted by a behavior analyst in a group format with other parents whose children are or have received services at BIG.